The world remembers the R.M.S. 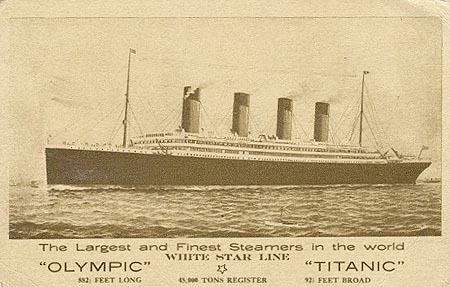 Titanic this month as April 15, 2012 marks the 100th anniversary of the ship's untimely demise. 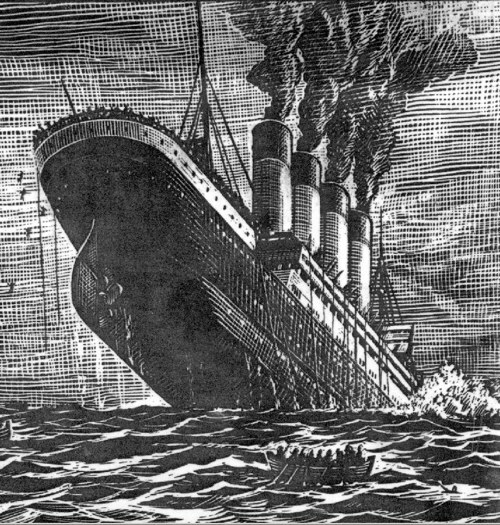 The sinking of the Titanic cost 1,514 deaths in one of the worst peacetime marine disasters in history. Lambton County may seem like it's far away from the Titanic disaster, but there is an intimate connection: one Sarnia man lost his life. James McCrie married Maud Brown on April 14, 1902, and the couple settled at 503 Christina Street North in Sarnia. James worked as an oil operator in Sarnia until late 1910 when he embarked on a journey to Egypt. James was following in the footsteps of many Lambton oil men before him who left Lambton County to drill oil wells and teach drilling techniques in countries around the world including Venezuela, Borneo and Russia. The first crew of "foreign drillers" left Petrolia in 1874, and a steady stream of Lambton County men traveled around the world for decades to follow (to learn more about the foreign drillers, visit the Black Gold section of the Oil Museum of Canada's website.) James McCrie left for Egypt in November, 1910 and completed an eighteen month contract. At the end of his contract he traveled to England, where he communicated with his wife and family for the last time. He sent his wife a letter in the first week of April to let her know he would be staying in England for a week in order to travel across the Atlantic in the new steamer, the Titanic. McCrie boarded the Titanic in Southampton on April 10, 1912, and did not survive the ship's sinking on April 15. 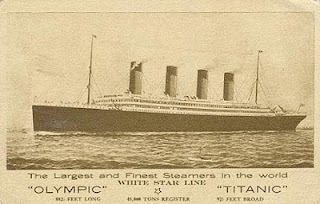 James's story was not soon forgotten: his father Matthew's obituary, which appeared in the Sarnia Observer on July 4, 1939, closed with these sentences: "A son, James, lost his life with the sinking of the Titanic in 1912. He was an oil driller who was returning home from Egypt at the time." James McCrie met an untimely death, and he is remember this month on the 100th anniversary of the sinking of the Titanic. There is just a possibility that a Sarnia man in the person of James M. McCrie, oil operator North Christina street, may be one of the passengers on the ill-fated steamer Titanic, which sank to doom in the Atlantic ocean early Monday morning. Mr. McCrie, who is a driller by occupation, has been engaged in that pursuit for the past eighteen months or so in Egypt. A short time ago his contract expired and he was on his way home to Sarnia. A letter recently received from him by Mrs. McCrie announced his arrival in England and also conveyed the information that he intended to remain over in England a week in order to make the passage across the ocean on the new steamer Titanic. So far Mrs. McCrie has not received any information contrary to the above and grave fears are entertained that Mr. McCrie may have been one of the passengers on the ill-fated steamer. The name of Jas. McCrie appears on the list of second cabin passengers on the Titanic.